Brunch N' Cupcakes: 13.1 - DONE! After 12 plus weeks of training and countless long runs... I can now officially say that I have run a half-marathon (And I can officially cross it off my New Years resolution list)! I am so proud of Derek and I for finishing our first half-marathon! It is hard to believe that after all that training out race is over! 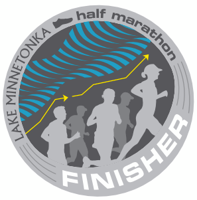 Derek and I ran the Lake Minnetonka Half - Marathon and I have to say it was the perfect race for our first half. The race was smaller which made this long distance race less intimidating! 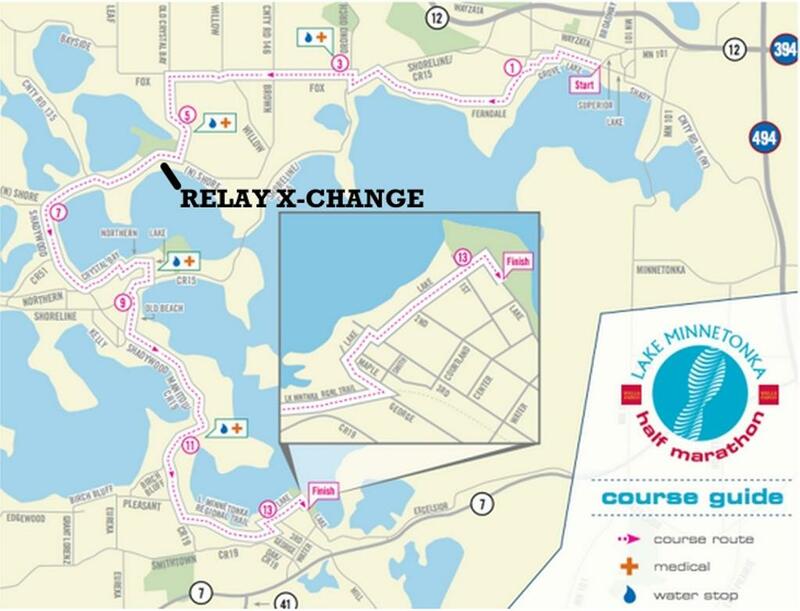 The half-marathon course ran along beautiful Lake Minnetonka with gradual slopes (thank goodness not very many huge hills) and gorgeous views of the lake and mansions! were loaded in the car and off to the start line! And after a little waiting around and a not so prompt 8 AM start time Derek and I were off on our 13.1 mile endeavor! Katie and Nikki even brought the babies out to cheer us on! Thanks for coming out guys! Now lets talk the actual running and the stats... shall we? Race day I wasn't feeling to hot! Minnesota went from a beautiful 72 degree weather to 30 degrees and snow in just a week... which left me with a cold that I unfortunately didn't shake before race day. But you know what? I rallied through it and ran the best that I could! Despite the cold my legs felt great. I was pretty glad that I had taken it easy the week before! Derek and I ran the entire race together and ended up having the exact same race time! I had a little bit of a side ache issue around mile 11 but we made up our time and came in well under our goal time! So what was our first official half marathon time? I wanted to run my first half in under 2 hours and we DID! We beat the 2 hour mark by 12 minutes! I was ecstatic to say the least and I am still super pumped! All in all I am happy that the race went well and that it is over. But what is next you may ask? Another half? A full marathon? I am thinking a few more half's before I take on a full marathon is in order. Check out the list of half marathons I would love to signing up for or run someday! I may have even recruited a new running partner... My Lil Sis! !